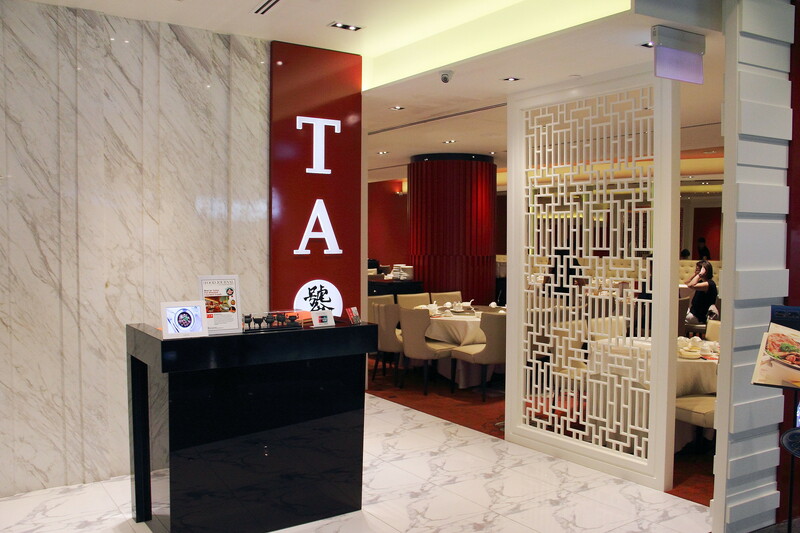 Located on the 2nd floor of Asia Square Towers, TAO Seafood Asia is a newly created restaurant brand offering Thai-Teochew seafood cuisine. Chef Lee Tong Kuon, the former executive chef and co-owner of the Thai Village Holdings Ltd, was officially appointed as the head chef in November 2014. His son, Adrian, was the creator of this new brand. Over here, customers get to try not only Chef Lee's signatures but also new creations unique TAO Seafood Asia. 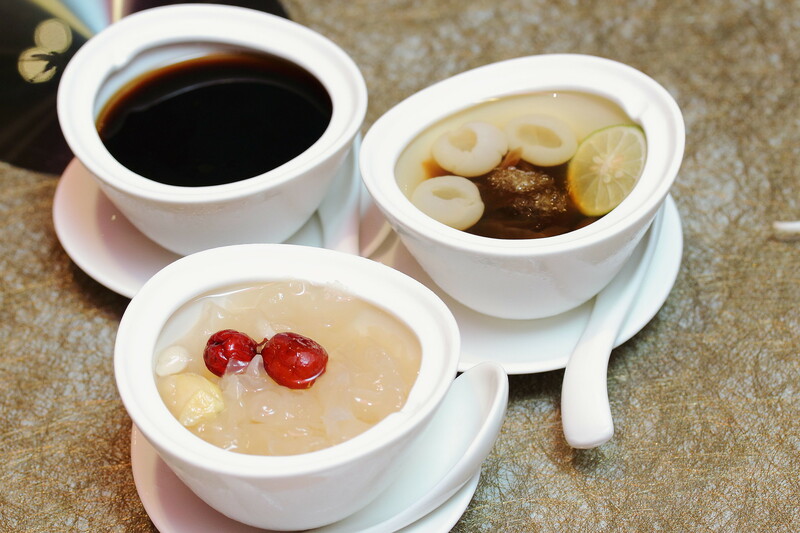 TAO sets to bring to their customers quality and refine Thai Teochew dishes made only with produce that are from sustainable sources. I believe this put many Eco-friendly diners' minds at ease. Unlike the usual Chinese restaurants which setting can be rather open, I like the intimacy and cosiness that TAO provides. We started off the dinner with their a couple of their appetisers. The Chilled Jellyfish Salad (S$10++) and Crispy Fish Skin with Salted Egg Sauce (S$10 ++) were equally moreish. 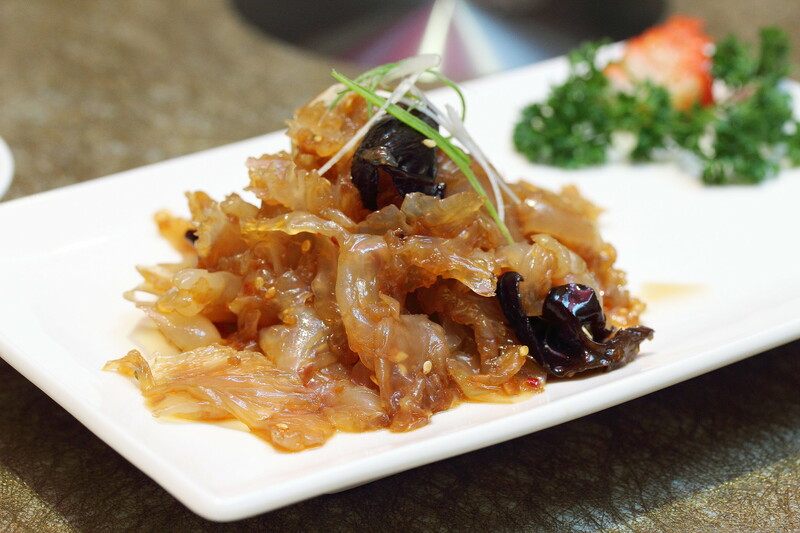 The thick slices of jellyfish head were extremely crunchy. Served cold with a special mix of vinegar, sesame and chili, it awakened my tired senses. 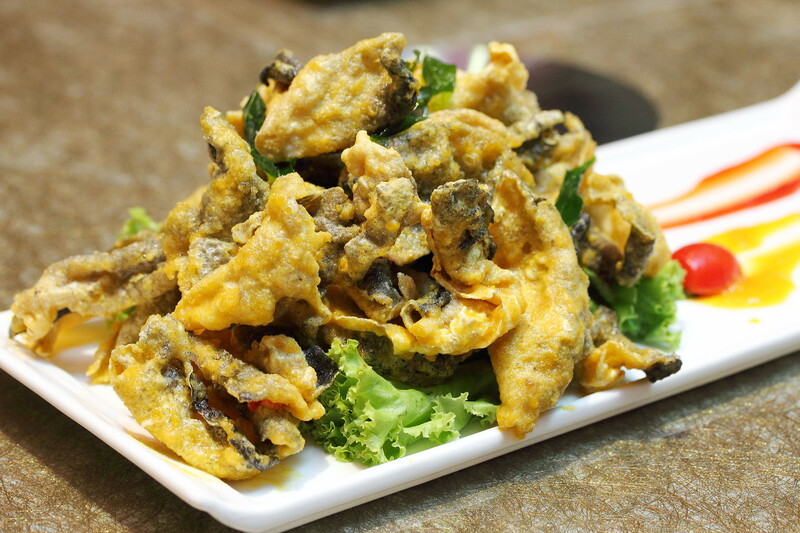 The crispy fish skin comes from Eel, deep fried and evenly coated with salted egg sauce. The crunch of the fish skin echoed around the table at every bite. I feel the satisfaction was quite beyond the simplicity of the ingredients. 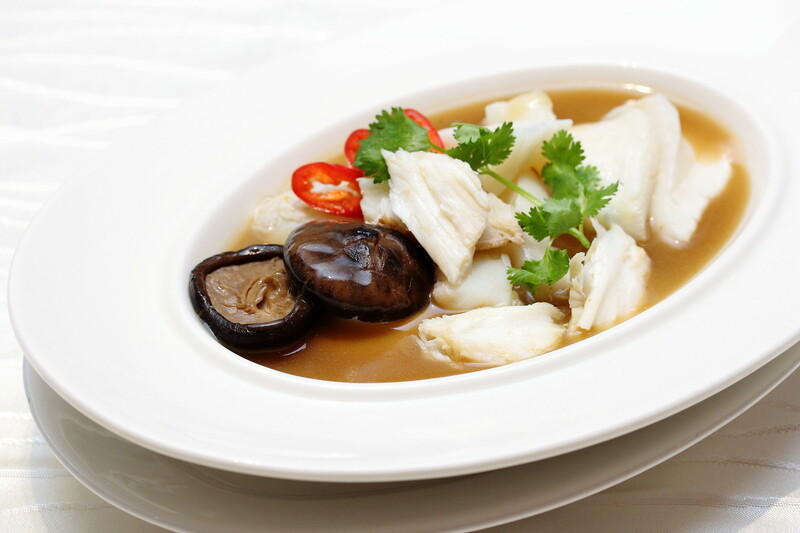 To warm up, we had TAO Signature Soup with Premium Fish Maw and Crabmeat (S$68++ per person). I was amazed by the thickness and viscosity of the chicken brew. I could feel it nourishing my core upon every spoonful. Known for its collagen, the premium New Zealand Cod Fish Maw (花胶) holds a different texture to the usual fish maw. I would say it is like salmon belly but with a much firmer texture. After a few spoonful, we were told to add a little of the green chilli. It really does add another layer of taste to it! Pot Roasted Cod (S$38++) is slow-roasted in metal pot with TAO Seafood Asia’s unique essence sauce with a generous dose of garlic and coriander roots at the bottom. Cooking and serving straight to diners in metal pots is their Thai-Teochew style of cooking. This is to preserve the aroma and taste of the seafood. The fish was firm and fresh, and I love how the herbaceous coriander roots cuts the creaminess. However, as the sauce can bit quite salty, I wish there was much less of it. 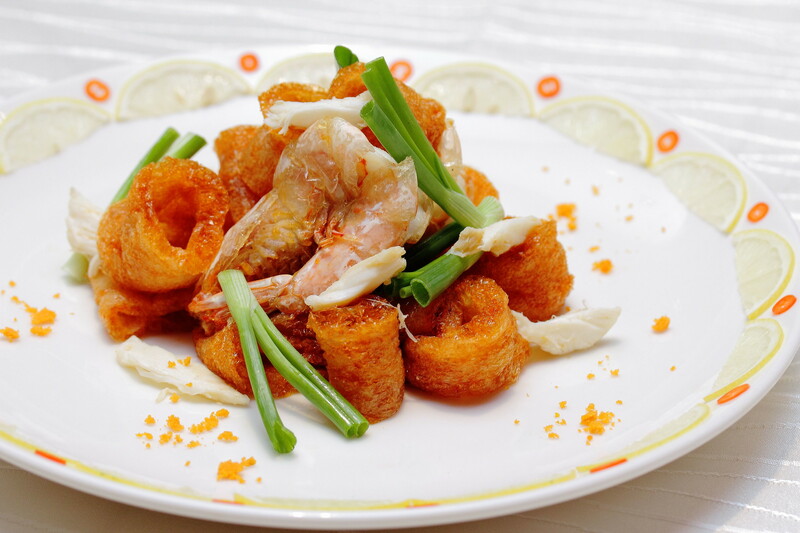 Stir Fried Fish Maw with Prawns (S$44++) is a new addition to the menu. I would say this is my first time trying stir fried fish maw. Customers are advised to consume this dish immediately after being served as the fish maw soften real quickly. As the collagen rich fish maw contains a natural coat of fish-oil, the Chef uses very little oil during the stir frying process. The end dish wasn't too greasy. I didn't find the taste exceptional but I feel it can be a quite attractive dish for those who love the texture of fish maw. Another new addition that I tried is the White Pepper Crab (S$6++ per 100g). 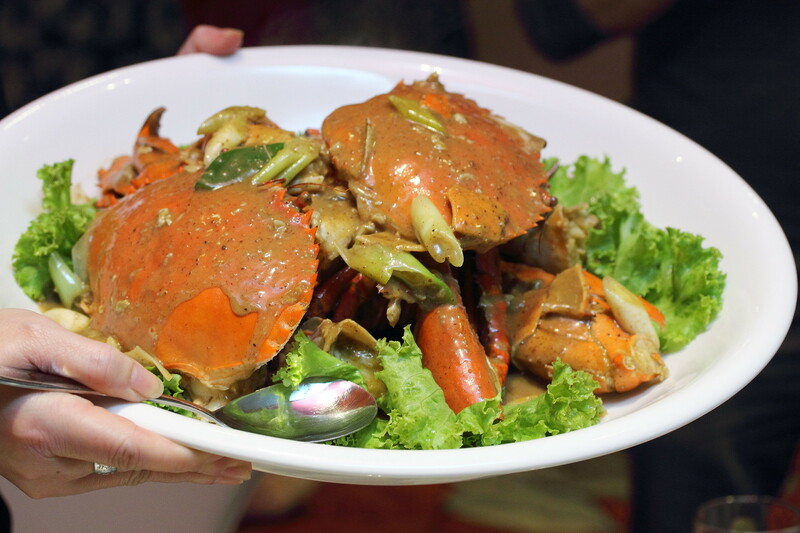 When the White Pepper Crab was served, we were quite astonished by the sheer size of its claw. It was huge! The sauce was rich with pure ground pepper, with a touch of other spices. The hard shell was nicely cracked, hence removing the meat was no hassle at all. Despite the peppery sauce, I could still taste the subtle sweetness of the meat. If you like peppery suff, this will definitely sit well with your palette. 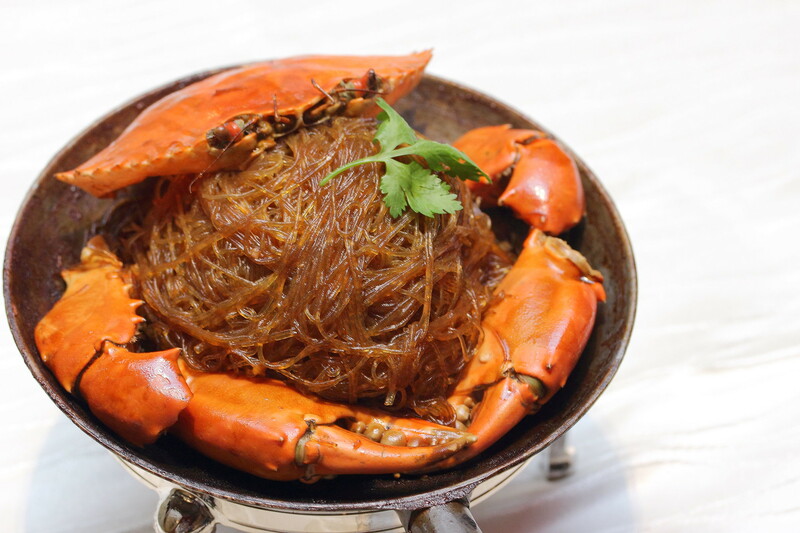 Pot Roasted Crab with Glass Noodles (S$45++) is known to be a Thai Teochew favourite. 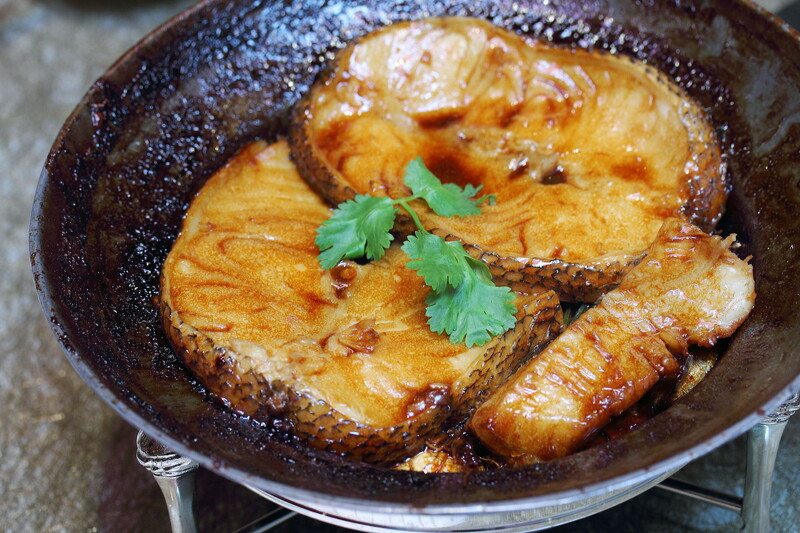 Similar to the cod fish, it was prepared and served directly in a metal pot to retain its aroma and "wok-hei". The glass noodles was springy and well flavoured with the sauce and soup base fully absorbed into every strand. Again, a tiny teaspoon of the Thai green chilli works like magic. It helps to cut the saltiness of the noodles which was slightly too much for me, lifting the overall taste. Before the start of the dinner, we were each given a saucer of their Thai chilli sauce. As plain as it looks, I was told a little of it will enliven the dish exponentially. Well, I was rather skeptical at first, but how wrong I was after having it with the dishes I tried. It could be the self-effacing demeanour of Chef Lee. I felt that dining at TAO Seafood Asia is like eating 私房菜，akin to home cooked dish but with extravagance. It is rare when the scene is so commercialised these days. Tonight, I would say “饕聚” (tāo jù) (its Chinese name) is really the place that epitomise "where gourmets gather".